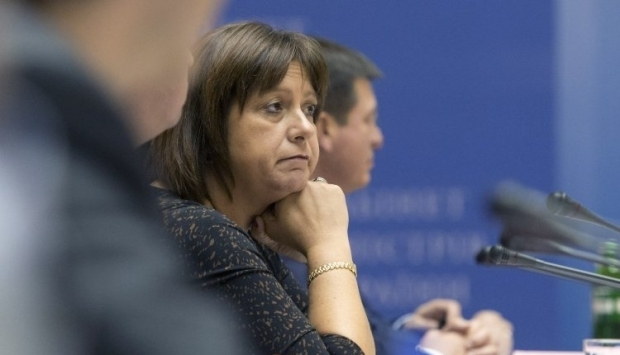 Ukraine is holding a constant dialogue with the Russian authorities regarding a $3 billion debt due this month, Ukrainian Finance Minister Natalie Jaresko told reporters. At this, the minister noted the talks are held through German "mediators." "We are in contact with them [the Russian side] through German partners every day. As you know, I met them in Peru under the mediation of the German Finance Minister. And they [the German side] are helping us as mediators," Jaresko said. Read alsoRussia intends to challenge IMF decision on changing lending policyAs UNIAN reported earlier, the Ukrainian Finance Ministry and the Russian Government did not reach an agreement on the terms of restructuring a $3 billion eurobond, which matures in December 2015. Read alsoPutin offers Ukraine not pay "Yanukovych's debt" in 2015Earlier, Russian President Vladimir Putin said the Russian government decided to defer payments under the debt until 2016. In turn, Finance Minister Jaresko noted Ukraine had not yet received any proposals from Russia. On December 8, the International Monetary Fund (IMF) changed its lending rules to allow it to keep supporting countries if they fail to repay official creditors. The move helps Ukraine to continue cooperation with the IMF, even if it misses payments on a $3 billion debt to Russia.